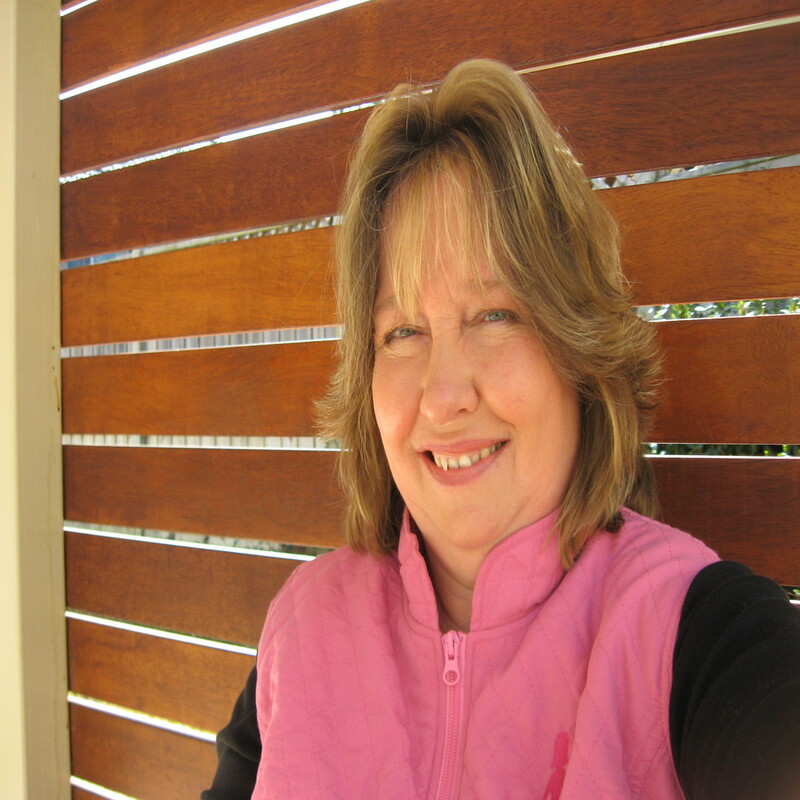 Do you have a spare breast prosthesis you could donate to help a woman in Fiji ? Breast forms, preloved. Full or partial silicone prosthesis. Soft forms also. Any size or shape needed. Bras -Every kind of bra. 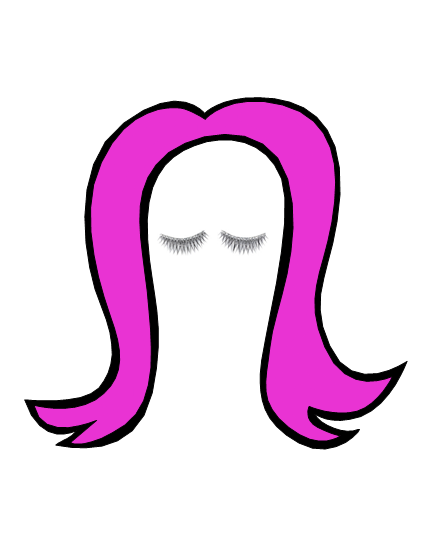 Mastectomy or not. Any shape or size. Clean, preloved or new. Bra extenders are also much appreciated. The Fijian Women’s Breast Cancer Project is an ongoing collection of lightly worn breast prosthesis and bras from generous Australians. Items are personally given and fitted at no cost to women that have been selected by Fijian Breast Care nurses. Not for profit. No money exchanges hands. Done with approval from Fijian Health Department & Fijian Cancer Society. Great cause, I sent all my old bra's and prosthesis after my reconstruction. The ladies are so thankful. Oooh! I too was wondering what to do with mine....I never wore it so it's brand new! Will definately be passing it onto this wonderful cause! 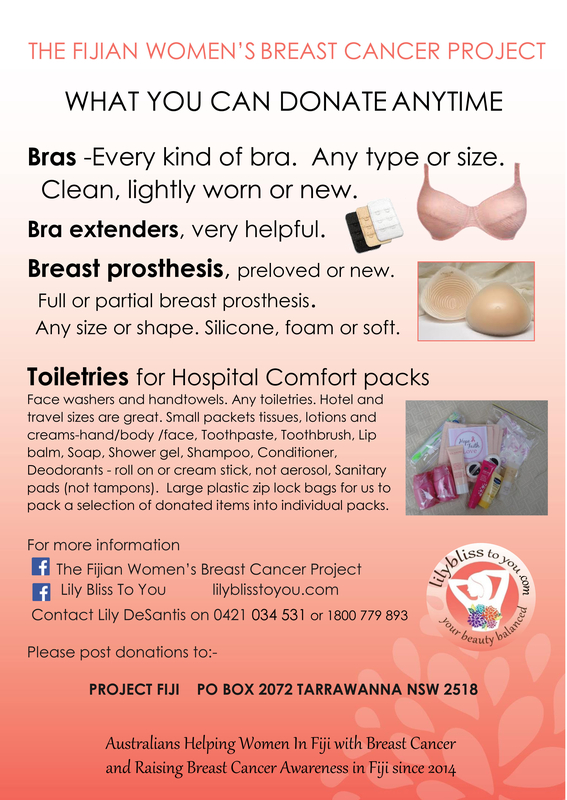 Just posting to say we are still collecting and sending bras and prosthesis to Fiji Cancer Society. Check facebook Lily Bliss To You for more info. great cause and what a wonderful way to recycle and reuse our items. HI all, this sounds like a great initiative. BCNA will look into ways to promote this great service too. just an idea @Marianne_BCNA how hard would it be to have a drop off point at the various activities. that sounds like an awesome idea to have collection point at activities etc. More drop off places in Sydney would be good.Also wondering if there is a need for this amongst disadvantaged women in our own country? I agree, whilst prosthesis are subsidized sometimes women need one before the due date because of weight gain or loss so there could be ladies needing assistance. The cost of ''good'' bras could also be an issue for some ladies and not all are comfortable in the tank top style. How could these ladies be supported and provided with some of the cast-offs ? We also would love more drop off locations in Sydney - we just need to spread the word to find more kind hearted people with a public space- such as we have someone who works in the chemist in Nowra or people with a covered front porch where drops off can happen like in Barden Ridge. And they need a little storage space to hold items until they can be transported to Fairy Meadow. We are just a small bunch of ladies- no big network.But the further afield we can collect the easier it is for people to donate. Check out our first Hospital comfort care pack Packing day we had on Monday. Regarding women in Australia- project Uplift might do that. Mostly overseas I think.They do also collect mastectomy products. They only have one or two specific collection points which are on their website. Support The Girls is a very reputable Australian charity, I know the director well as we have crossed paths due to our common interest. They collect good quality bras for disadvantaged Australian women. I am not sure how often they need mastectomy bras or if they keep stock of that type of donations. Do you have a breast prosthesis to spare or some bras you could post to us? Could you share this post to help spread the word? 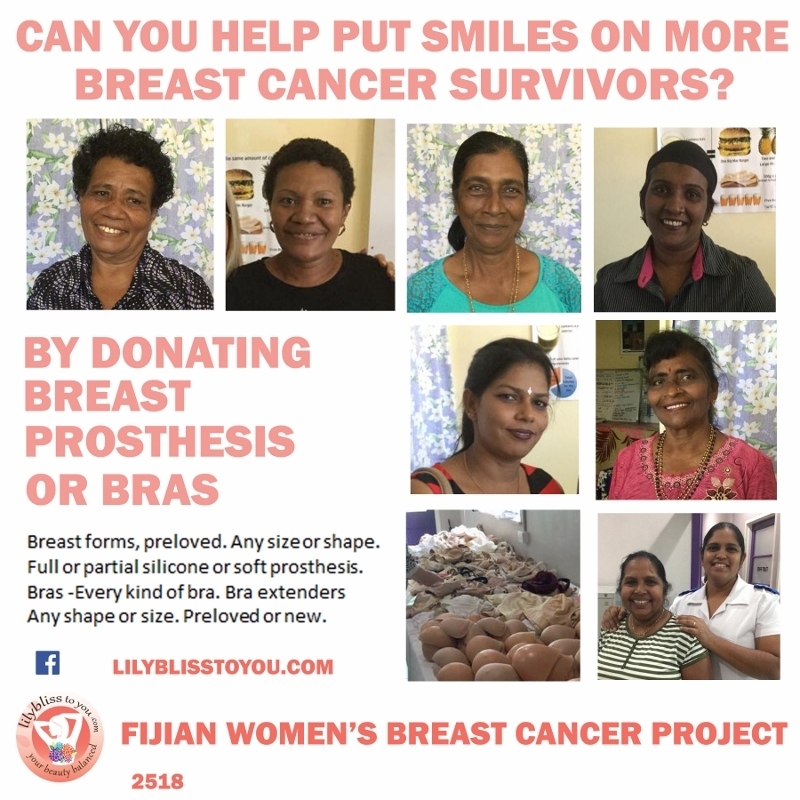 The Fijian Women’s Breast Cancer Project is an ongoing collection of bras and preloved breast prosthesis donated from generous Australians to help women in Fiji. The Bras are used as a free gift to encourage women to attend cancer awareness education events and the women are VERY grateful. We work in conjunction with the Fiji Cancer Society to transport and distribute items for free for awareness and Breast prosthesis and bras are fitted for free to women that have undergone a mastectomy. How great this cause is, and to help someone on with this journey as well. I will be sending mine soon, also my post mastectomy bras. We would love some more breast prosthesis to recycle/reuse. Teresa has been asked if she could take some spare breast prosthesis to the Reach for Recovery conference to give to the delegates from Zimbabwe & Kenya . (Brisbane ,Australia 2009, Tapei Tawain 2011,Cape Town South Africa 2013, Beijing China 2015 )and now Prague 2019. Teresa is travelling to Prague with her daughter and two friends as part of a holiday, and they all have offered some suitcase space. Any prosthesis they can't fit will be sent to Fiji. You can go to our Facebook page to share this news . 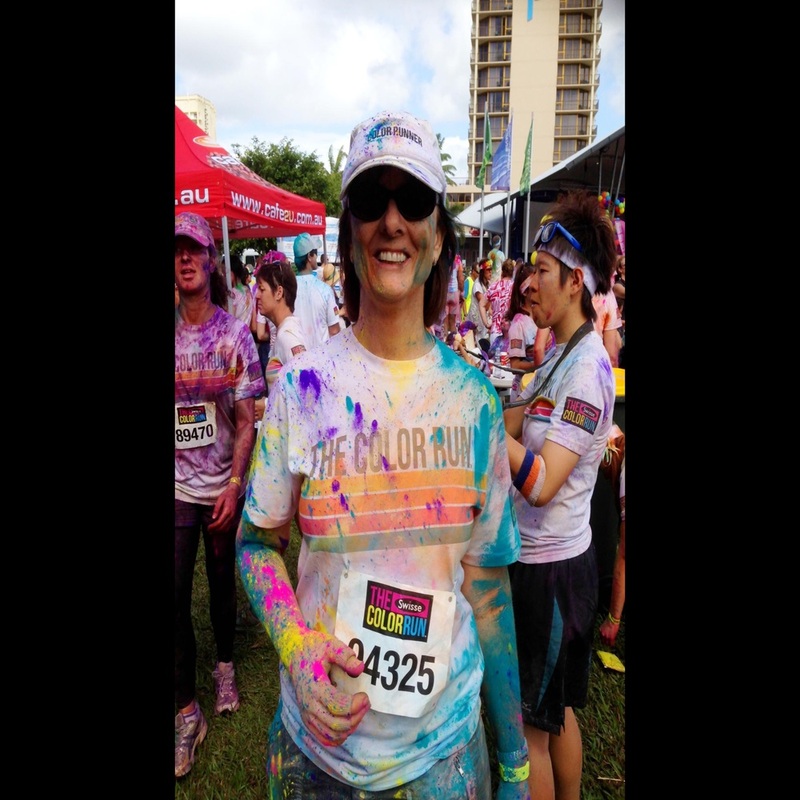 "I am a breast cancer survivor since 2008. I am now a volunteer with Reach For Recovery Zimbabwe an arm under The Cancer Association of Zimbabwe. Breast foams and prosthetic are not easily available here for the low income earners . I will be attending the Prague conference and would appreciate if I will be able to bring a few donated ones for our breast cancer patients. The Cancer Association of Zimbabwe will be responsible for the administration and distribution . Thanking you in advance on behalf of our organization. Faresi"